Home Rugs Surya Adana 3'9" x 5'9"
Surya Adana 3'9" x 5'9"
The Adana Collection features designs originated in the Turkish villages during the 16th and 17th Century. 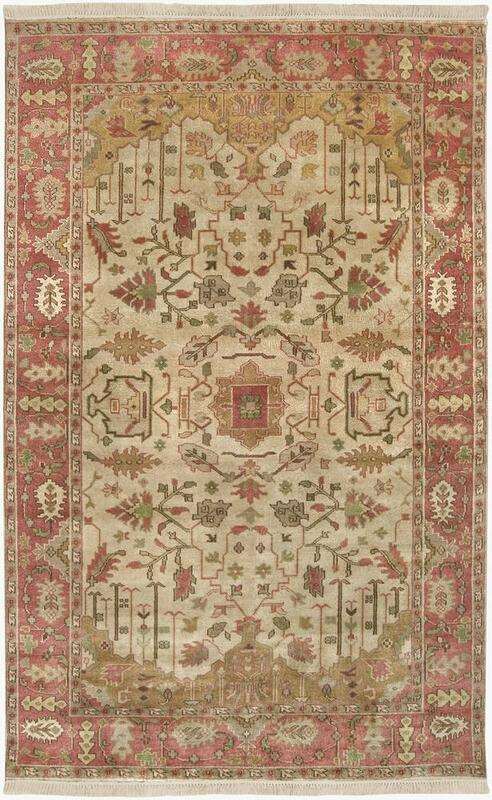 Hand knotted in India, this Indo-Turkish collection was thoughtfully assembled to create the impression of that era using the same symmetrical knots as used in the original Turkish rugs. Adana rugs feature the geometric, tribal, and cultural motifs of the region. The wool used is semi-worsted and imported from New Zealand. The yarn is chrome dyed in India; consequently, the colors will remain true and fast. Special hand washing and finishing adds a distinctive radiance to this collection. The Adana 3'9" x 5'9" by Surya at Royal Furniture in the Memphis, Nashville, Jackson, Birmingham area. Product availability may vary. Contact us for the most current availability on this product. Browse other items in the Adana collection from Royal Furniture in the Memphis, Nashville, Jackson, Birmingham area.